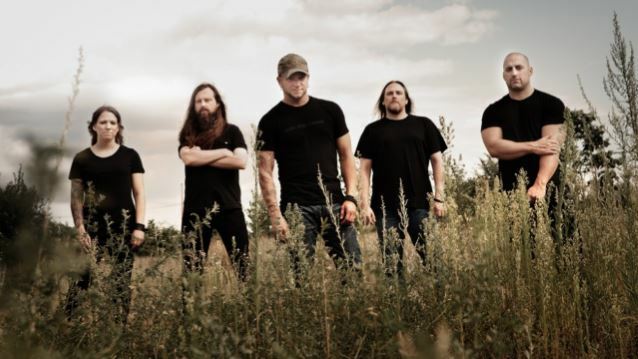 "This Probably Won't End Well", the first single from ALL THAT REMAINS's new album, can be streamed below. The record is called "The Order Of Things" and arrives on February 24. Singer Phil Labonte told The Pulse Of Radio how the song was chosen as the first representation of the new CD. "The song's like, you know, it's kind of more of a rock song," he said. "That wasn't what we initially thought was gonna be the first single, you know, when we were writing. I mean, the song came together and we were like, 'You know, this one's really cool,' and then the label came in and were like, 'We want to put this one out first,' and we were like, 'Really?' And they were like, 'Yeah,' and we were like, 'Okay, it's cool with us, you know, it's not a… We're proud of the whole record."